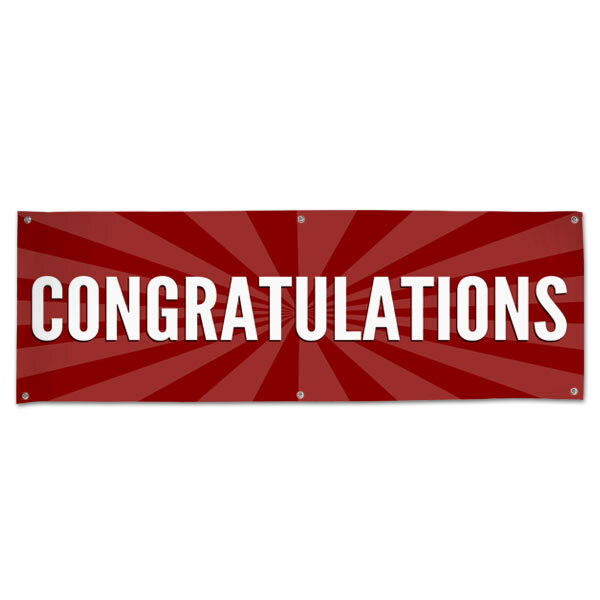 Congratulate friends, relatives, or coworkers in a big way with our high quality vinyl banner! 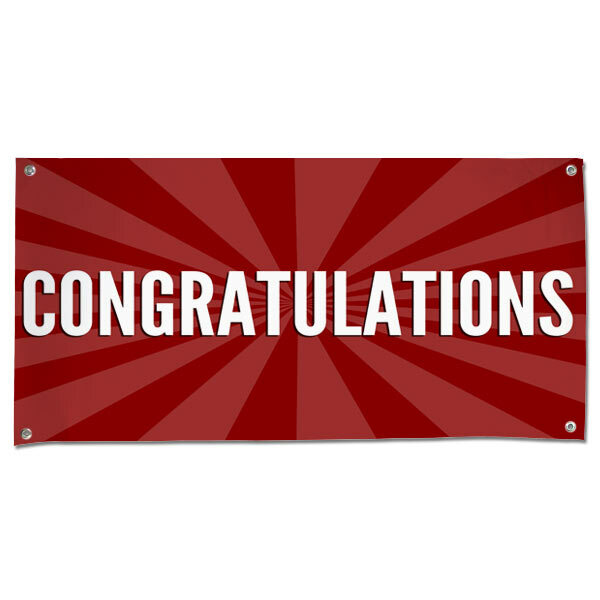 Perfect for congratulatory parties, anniversaries, baby showers and more, you can select from three different sizes and have your banner shipped to your door! There's no customization process for our pre-printed stock banners. Just choose your banner size and order online! It's simple, fast, and is a great way to add a little character to any celebration. Want to create banners with pictures on them instead? Our custom vinyl banners can be designed with photos, text, and our large selection of background colors and templates. 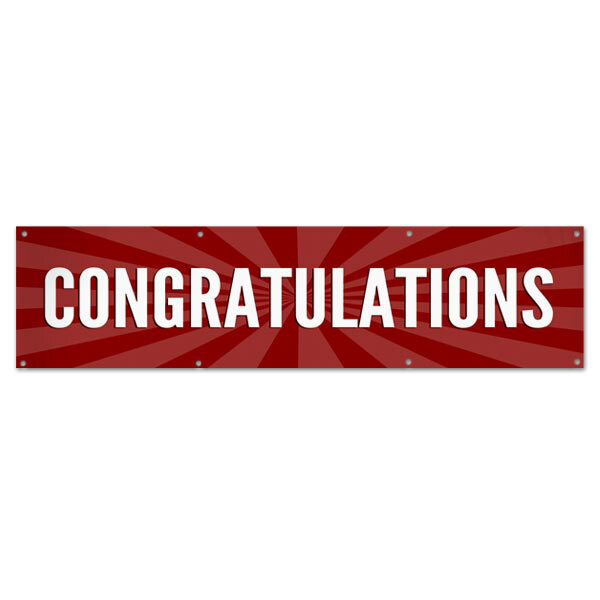 Make one for an upcoming congrats party or customize it for any occasion!